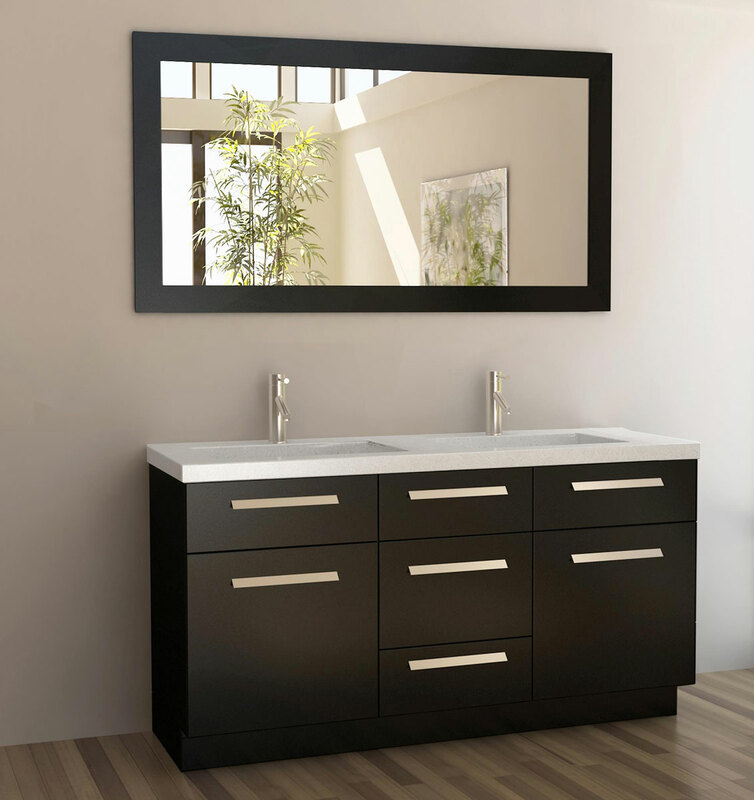 The solid oak cabinetry of the 60" Moscony Double Vanity is a work of art and a stunning addition to any contemporary bathroom. 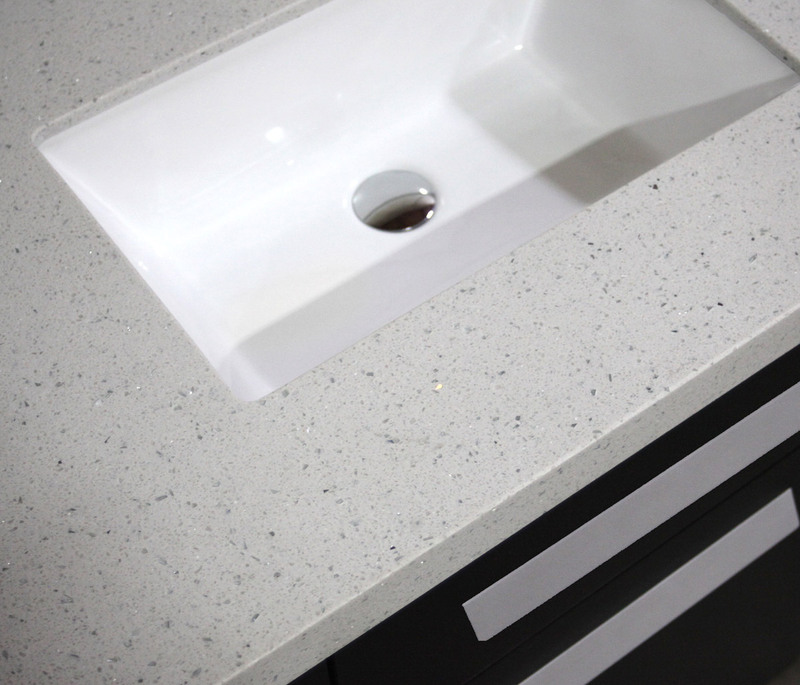 Simple clean lines, wide brushed handles, soft closing doors and large functional drawers make a bold design statement. Sloping rectangular porcelain sinks and polished chrome pop-up drains boldly accent the rich espresso finish and matching framed mirror.